Oh golly...I love this gourd. These are awesome and the colors are beautiful. Looks like work to me, but do some more...love them. First, Thank you so much for posting such a nice comment on my blog. 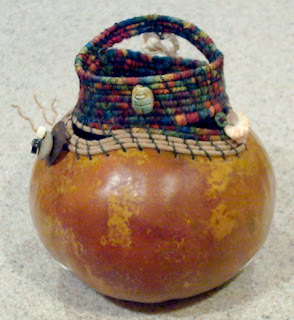 Wow... these are beautiful gourds you have done a fantastic job, good design and great colors. could not find your email address anywhere, please send. 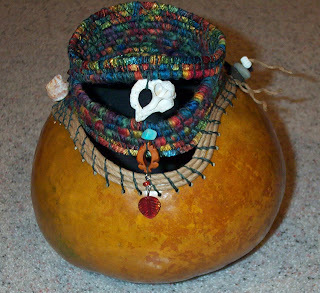 Love the gourds! Have always wanted to try this, but have never gotten around to it!